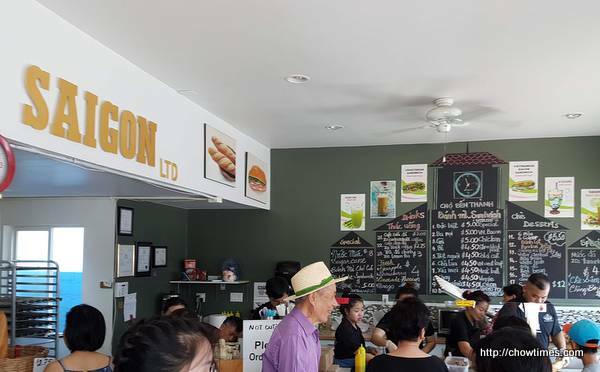 Ben decided to have Bahn Mi for lunch after church service on a Sunday. 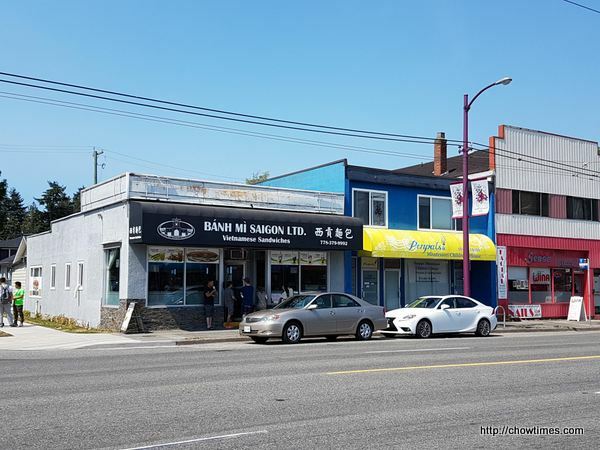 We went to Bahn Mi Saigon on Victoria Drive, Vancouver. The place was very busy around 1PM. There is a few small tables in the restaurant but most people just take out and go. 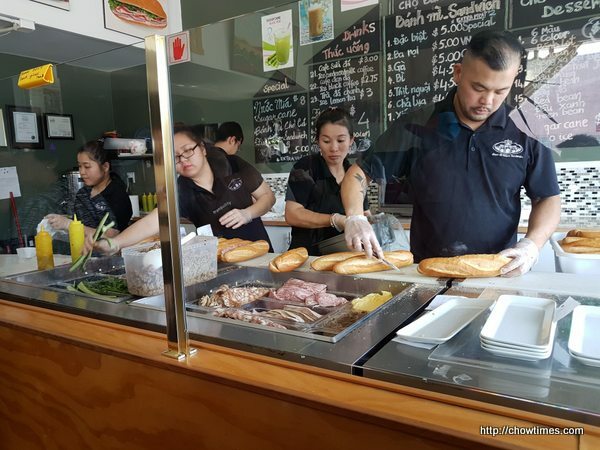 There is also fresh baguette for sale @ $2.75. Quite a few people bought the baguette while we were there. There was an assembly line at the preparation counter. 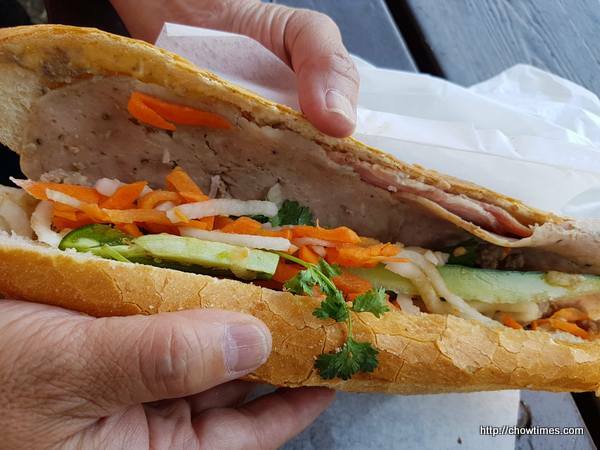 One person does the spreading of butter & pork liver pate, another fills the cold cut and other meat and the next person will fill with fresh cucumber slices, pickled carrots and white radish and cilantro and top with chili sauce. The last person will wrap the baguette. We ordered the Special Dac Biet which has ham, headcheese, meal ball, meat loaf, pate, homemade mayo and vegetables. 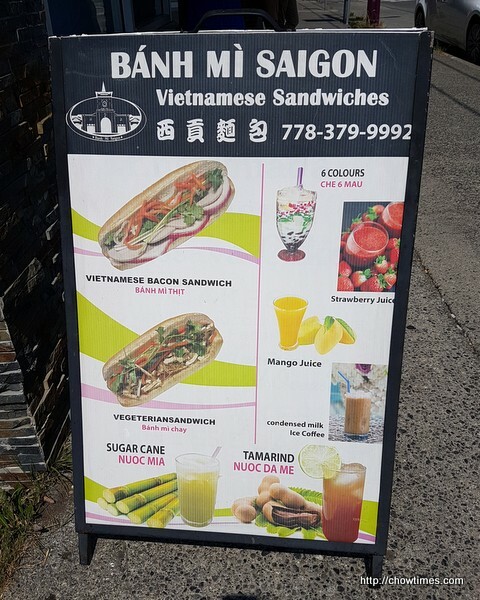 The foot long Bahn Mi is CAD5. The baguette was light and crispy. 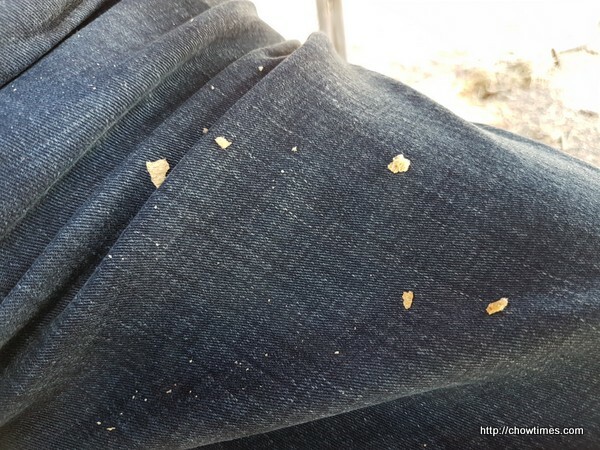 We enjoyed the baguette at the nearby park. This place will close early when the baguette is sold out. 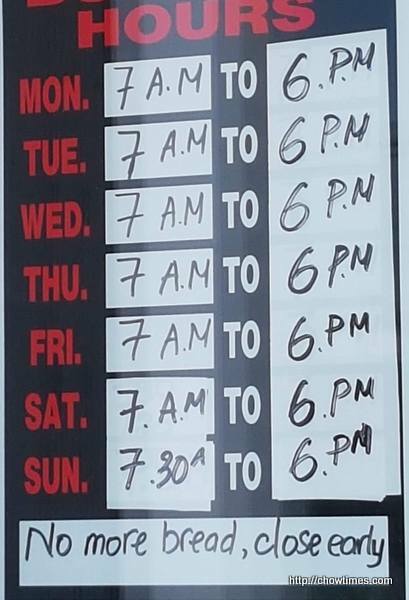 I saw a sign posted in the restaurant that says “Buy 10 Get 1 Free”.